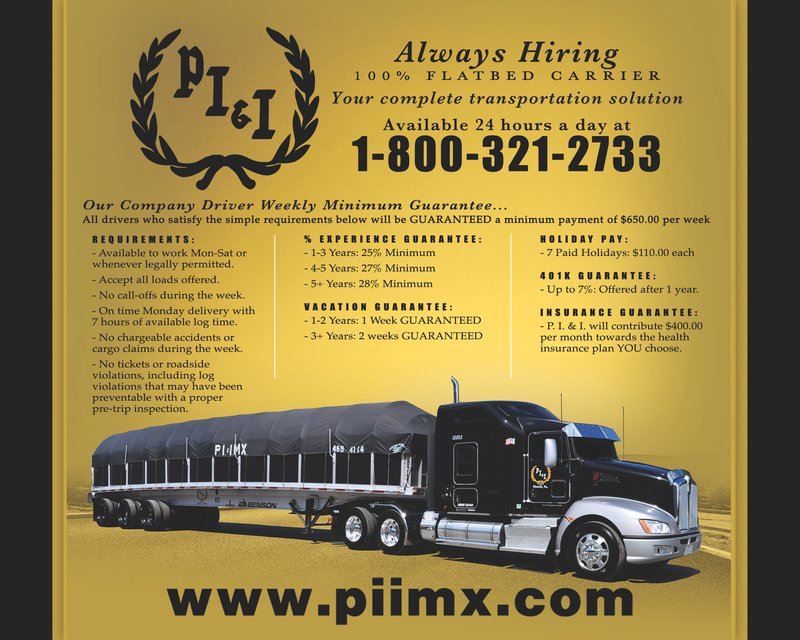 With 65 years of experience in the trucking industry, we are a proven family that is your "Complete Transport Solution." Employment opportunities are always available. • Available to work Mon-Sat or whenever leagally permitted. • Accept all loads offered. • No call-offs during the week. • On time Monday delivery with 7 hours of available log time. • No chargeable accidents or cargo claims during the week. • No tickets or roadside violations, including log violations that may have been preventable with a proper pre-trip inspection. • P.I.&I. will contribute $400.00 per month towards the health insurance plan YOU choose. For rate quotes and service availability please contact the corporate office at 800-321-2733.